The U by Kotex Click provides fantastic period protection. You get 50 in every box to get you through multiple cycles. 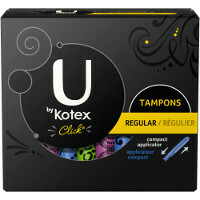 These U by Kotex click tampons are small, so you can keep several in your purse. They are also unscented to prevent irritation.